The AMTC is seeking prospective shooting talent for future Commonwealth and Olympic Games. Under the auspices of the Army Elite Sport Programme, GB Shooting and the English Institute of Sport, the AMTC is running trials for any soldier who wishes to be considered. This ABN gives details of the scheme and of how soldiers may participate. The scheme is open to all regular service personnel and, when authorised by their Chain of Command, to reserve personnel. The shooting disciplines are the Olympic events in small-bore rifle, .22 pistol, air rifle and air pistol shooting. No previous shooting experience is required but those wishing to partake in the trials must have completed the basic rifle or pistol course run by the AMTC. Trials, which are conducted twice a year, are published on the Army Shooting website (http://www.armyshooting.org/courses.html) as are the requisite course dates. The AMTC will approach the CO of those successful at trials and request that the soldier be released on loan to the AMTC for a period up to 6 months. During this period , they will enter full time training with the aim of reaching the qualifying standard for GB Olympic Pathway status. Partaking in the scheme will require total commitment. The training will require many weekends of competing at home and abroad and will have implications on private/family life. There will also be an element of personal financial cost involved – which will be explained in more detail at the trials. 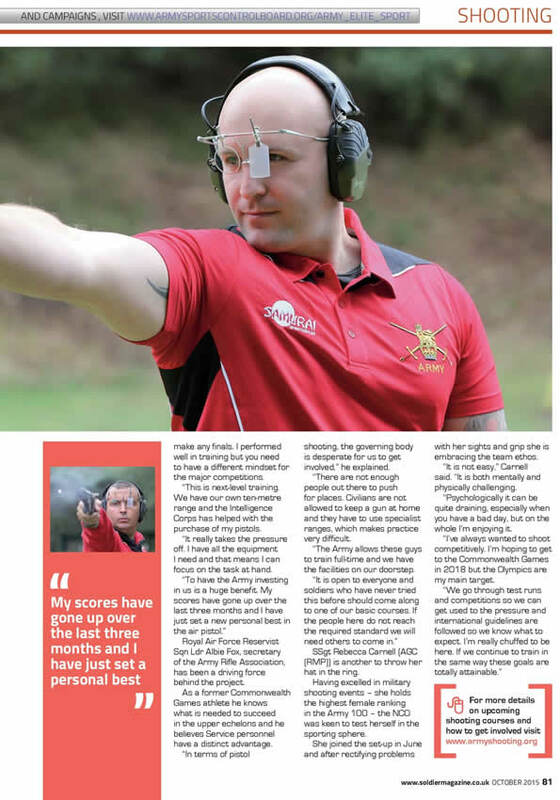 There is an opportunity for regular and reserve Army personnel to become Olympians in the sport of shooting. Full details can be found in ABN16/17 or email ArmyCapCbt-SASC-ARA-ChClk@mod.uk to request details. Squadron Leader A M Fox RAuxAF. 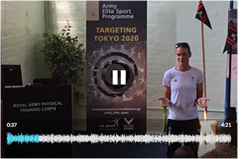 The Army Sport Control Board hosted Major Heather Stanning at the briefing day for the Army Elite Sport Programme(AESP) designed to discover and support new talent in the British Army with the potential to make it to the top of the podium. The AESP is a partnership between the British Army, UK Sport, the English Institute of Sport (EIS) and Talented Athlete Scholarship Scheme (TASS). 41 athletes from various sports and Corps had the opportunity to learn the support they will receive from the Talented Athlete Scholarship Scheme (TASS) while they continue their "dual career" Soldier and Sportsperson. The #ArmyBoxingteam demonstrated a #Strengthandconditioning session. The Army Sport Control Board look forward to welcoming Talented Athlete Scholarship Scheme (TASS) UK Sport and the English Institute of Sport to the Army Elite Sport Programme (AESP) and Talented Athlete Scholarship Scheme (TASS) briefing day. Richard Wyeth has been getting the details of the Army Elite Sport Programme expansion from Major General Shaun Burley, Director Army Sports Control Board. Last week we caught up with LCpl Anderson, 160 Pro Coy and LCpl Foster, 156 Pro Coy who had the fantastic opportunity to meet Gold Medalist Maj Stanning MBE, RA. Find out the full story below. "On Thursday 15th Sep 16 we had the fantastic opportunity to join the Army’s designated elite sportsmen and women at their elite athlete support briefing day at Fox Lines, Aldershot. The whole Army Elite Sports Programme (AESP) is run under the auspicies of the Army Sports Control Board who finance the scheme with money donated by G4S after the 2012 Olympics. We are currently on loan to the Army Markmanship training Centre at Bisley having been identified as having the talent to reach Commonwealth and Olympic Games level at shooting. The day gave athletes and coaches from shooting, weight lifting, boxing, rugby, karate and tae kwondo an insight into the Army’s Elite sport programme and how the it has been developed over the past 2 years. It was also an opportunity for the national media to report on what the Army is doing for their elite athletes. The day included a briefing on the Talented Athlete Scholarship Scheme (TASS) being run by the universities nearest to the elite athletes home unit. The scheme is available to the top individuals in each discipline and gives them support in Strength and Conditioning, Mental Training, Physiotherapy and Dietry advice. The highlight of our day was being able to meet and hear words of wisdom from, double Olympic gold medalist in rowing, Maj Heather Stanning MBE RA. Her overriding message was that we have a fantastic opportunity, being given to us on a plate, due to the strong support network that the Army offers. She also emphasised that we now had to graft to reach the heights she has. I was honoured to have the opportunity to hold Maj Stanning’s two Olympic gold medals and have the compulsory selfie with her. (You wouldn't believe how heavy the medals were!!) The entire experience was inspiring for all athletes involved an me in particular". The Army Sports Control board's announced its plans to help the most talented soldiers become even more competitive. The Elite Sports Programme's been running since 2014, but now TASS, the Talented Athletes scholarship scheme is going to be supporting British soldiers. 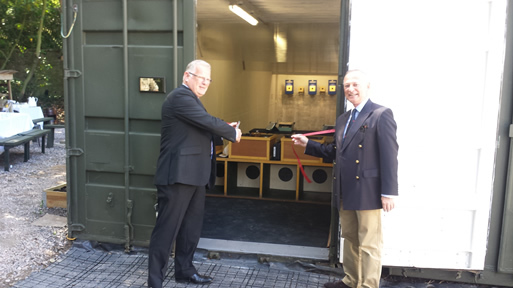 We were fortunate enough on the 24th of August to have Mr Alan Staples from Sodexo and Major General Shaun Burley ASCB, our two main contributors and supporters in attendance at the Army Marksmanship Training Centre to officially open the Air range for Troops To Target. This range will provide the Army Team with 24hr availability to electronic targets in order that they can train to compete at the highest levels later on. Those interested in joining Troops To Target at the Army Marksmanship Training Centre or in using the facilities in Bisley can get further details by contacting the Army Rifle Association Clerk. The Army Rifles Association was formed in the late 1800’s to improve the marksmanship skills of the British Army. They are still running today and can be found at Bisley. The Army Rifle Association have hosted a number of guests at Ash Ranges to show off the Troops to Target initiative. Another morning on the ranges at Ash Vale and another group of hopefulls arrive to try their chances at becoming the next in line for the Troops To Target (T2T) program. T2T is an initiative looking to find find military personnel with the attributes to become an Olympic hopeful with the help of Team GB and work towards such competitions as the Commonwealth Games Gold Coast Australia 2018 or the Olympic Games Tokyo Japan 2020. Attending a Target Pistol is the first step in selection towards Team GB and a pre - requisite before selection. Course applications can be found under Target Pistol Course information. Please feel free to get in touch with the ARA Ch clk for further information 94211 8085 or 01483 79 8085. Through a chance opportunity to shoot for my Battalion (3 Royal Anglian) at the Army Reserve Pistol Championships, I found myself fortunate enough to be placed on a full time programme ran by the Army Marksmanship Training Centre (AMTC) called Troops 2 Target (T2T). 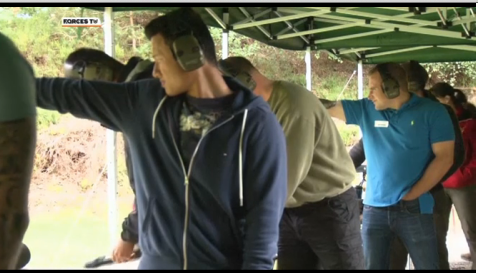 The programme involves shooting both service and non-service pattern weapons on a daily basis, guided by both the top military and Team GB coaches. 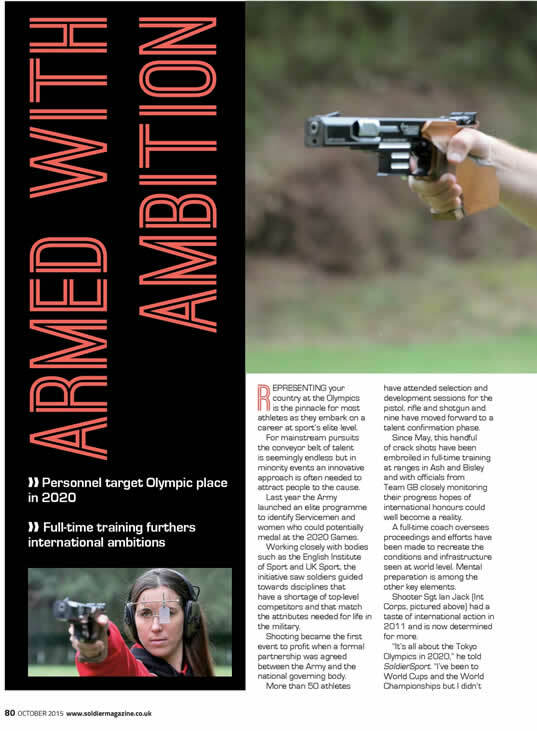 The aim of the T2T programme is to feed Team GB with personnel who through the military can practice full time, with firearms not usually available to the general public. I joined the programme early January 2016, by the end of march I had competed at various civilian and military competitions around the UK achieving a gold in my class at the North Wales Championships, Silver at the Army Target Shooting Championships and Top Pistol Shot at the R. Ang. BATOSC. By the end of April, I had my first experience at an international shooting competition in Hannover. I thank the AMTC for the training opportunities and experiences it has afforded me as a reservist and llok forward to passing what i have learnt to other soldiers back at my battalion. Pte Stanley - 3 Royal Anglian. This Website is not an official MOD site it is privately owned.